In Scotland’s 2014 referendum, what I really learned is that a successful independence movement must be cultural and all-encompassing. A minority language helps. For many years, that’s what Québec had. But entrenched politicians (at the federal and provincial levels) began to change the terms of independence and what it would mean for citizens. It became too wrapped up in a left-leaning projection of the world in which a more powerful state would coddle its citizens. Welfarism became the norm (those who condemn the Catalonia referendum results for this reason are not necessarily wrong). For Scotland it was the same. It wasn’t about autonomy anymore, but sticking it to the Tories. It was about nationalizing the oil industry and getting more money from Westminster. That spooked ordinary people in the end. The YES and the NO battle in Canada created huge wounds still visible to this day. Quebec still hasn’t signed the Canadian Constitution. 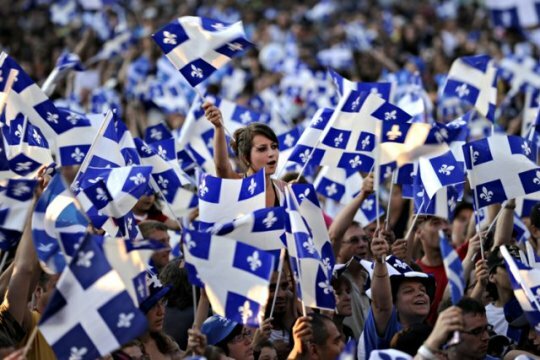 But things are getting better as the federal government has been able to articulate that Québécois can get autonomy via the existing decentralized federal structure. But in both cases, Scotland and Quebec’s referenda were allowed by both the United Kingdom and Canada. There were no constitutional provisions for exit, but the will of the people (for a referendum) was upheld. Is this because of the Commonwealth tradition in Anglosphere countries that sovereignty of the people is supreme? Is it because in Spain, what is held supreme is the union of the regions rather than will of the various factions within its regions? That’s for Spanish legal analysts to discover. Perhaps this historical structure is why any thought of leaving Spain is alien to the federalists. Again, they would not necessarily be wrong. If any independence movement gained steam in the United States (think California or Vermont), surely the same arguments would be use to condemn any vote, whether legitimate or not. And that is something that must be addressed by any independence movement that wishes to be successful. Or because Russia, according to the Washington Post. They’re the new geopolitical carvers of the world.